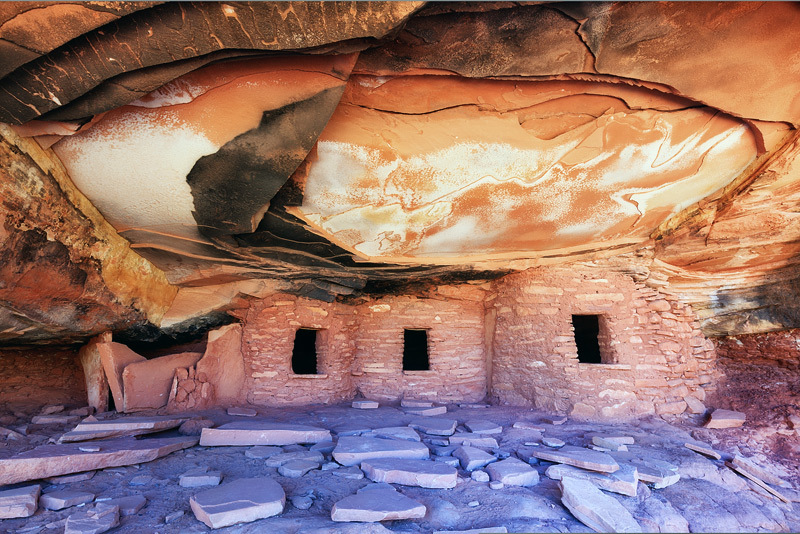 Guide books led me to this backcountry ruin nicknamed "Fallen Roof Ruin" located in a maze like area of UT called Cedar Mesa. The colors displayed here are a product of reflected light. Photo © copyright by Michael Greene.